Manufacturing the best designer ceiling fans in India, Ortem Fans represents the best in everything including quality, durability, reliability, innovation, technology, finish and materials. The company designs and manufactures each and every fan to offer optimum value for your money and 100% customer satisfaction. Right from the idea to conceptualization, the company incorporates most advanced steps and procedures to produce the best ceiling fans in India. The products manufactured by Ortem Fans respond well to customers� expectations in terms of design, performance and durability. At the heart of every Ortem product, you will find a powerful and performance-packed motor which presents an unsurpassable example of superlative engineering. These innovative motors in conjunction with superbly crafted aerodynamic blades accelerate the circulation of air while giving you completely noise-fee and energy efficient operations. For the past 30 years, the company has been dominating the Indian market as one of the best ceiling fan brands in India by offering global quality products at highly competitive prices. The company also offers unmatched after-sales support to provide complete peace of mind. Ortem Fan�s unwavering commitment to high quality is quite evident in each and every part of its products. 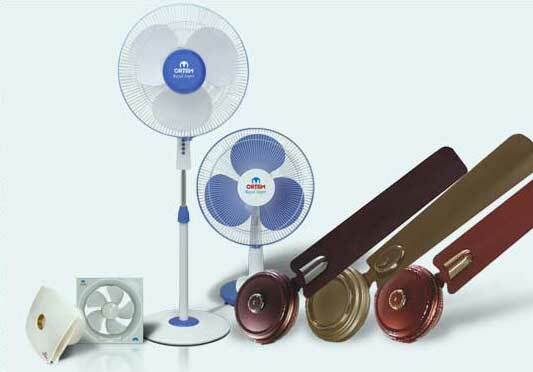 In other words, high quality fans and the name of Ortem simply go hand in hand India. The adherence to the best quality products and customer satisfaction has always been Ortem�s mantra of success right since its inception more than three decades ago. All these attributes make Ortem one of the best ceiling fan brands in India.